local theory on Cause of Salt Marsh is Confirmed !! 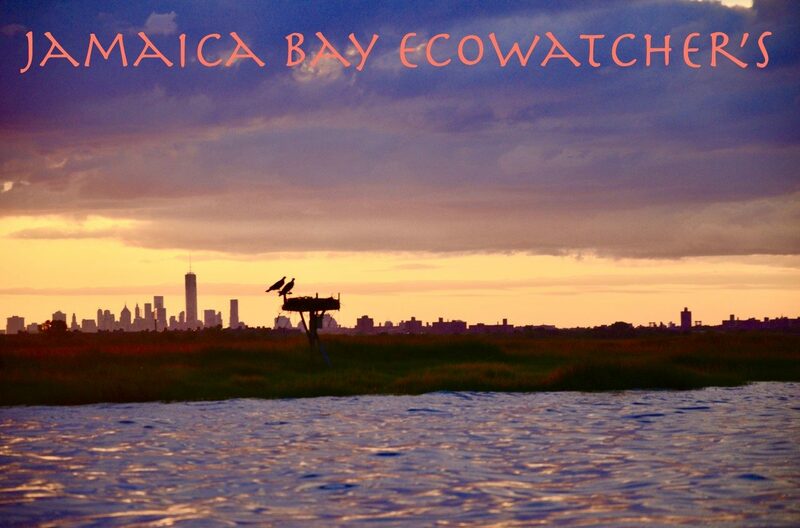 For over a decade the Jamaica Bay Ecowatchers have put forth their theory that the high levels of nitrogen coming out of the waste treatment plants (over 50,000 lbs per day at its height) was the leading cause of salt marsh disappearance in Jamaica Bay. Scientific “experts” and agency personnel alike disagreed for years. Now with more and more scientific studies supporting this agencies like the NY State DEC are agreeing that we have been right all along. Just reinforces how critical it is to listen to local input from those who are out on the bay every day!! see the article below!! Excessive levels of nitrogen from wastewater, septic systems and other sources are increasingly harming Long Island salt marshes that provide protection from storm surges and flooding, the state Department of Environmental Conservation said yesterday. In a new report, the DEC notes an “accelerated loss” of the coastal marshes over several decades. The damage has been most significant on the South Shore and within Jamaica Bay, according to the report. In the Great South Bay, for example, the loss of marshes between 1974 and 2001 has been estimated at 18 percent to 36 percent. While salt marshes are also threatened by development, wave erosion and other factors, the report singled out high nitrogen levels as causing the most harm. Nitrogen from wastewater enriches the marshes to the point where they develop shallow roots and become unstable, keeping them from performing their natural function of reducing the strength of waves as they reach the shore, according to the report. “The loss of tidal marshlands results in a direct reduction in coastal resiliency,” the report states. The DEC recommends that New York State support an ocean outfall pipe at the Bay Park Sewage Treatment Plant in East Rockaway and sewer system extensions in Suffolk County as a way to reduce the nitrogen load on the South Shore. The report warned that salt marsh restoration efforts will not be successful until nitrogen levels are reduced. Both county executives on Long Island issued statements through the DEC backing nitrogen-reduction efforts. The report was released in advance of a series of meetings on Long Island water quality that Gov. Andrew M. Cuomo announced last month.The four meetings, the first of which is Monday, are designed to solicit recommendations on groundwater protection. An action plan is to be sent to the governor sometime in June. Christopher Gobler, a professor at the School of Marine and Atmospheric Sciences at Stony Brook University, said studies have shown that high levels of nitrogen weaken the salt marshes — a crucial storm buffer. This entry was posted in Uncategorized on May 11, 2014 by Mundy.